This e-skin is self-healing, malleable and fully re-cyclable. It can be used for robotics, prosthetics and for better medical devices. E-skin is a thin, translucent material that mimics the function and mechanical properties of real human skin. University of Colorado's e-skin also has sensors embedded in the skin for critical measurements. 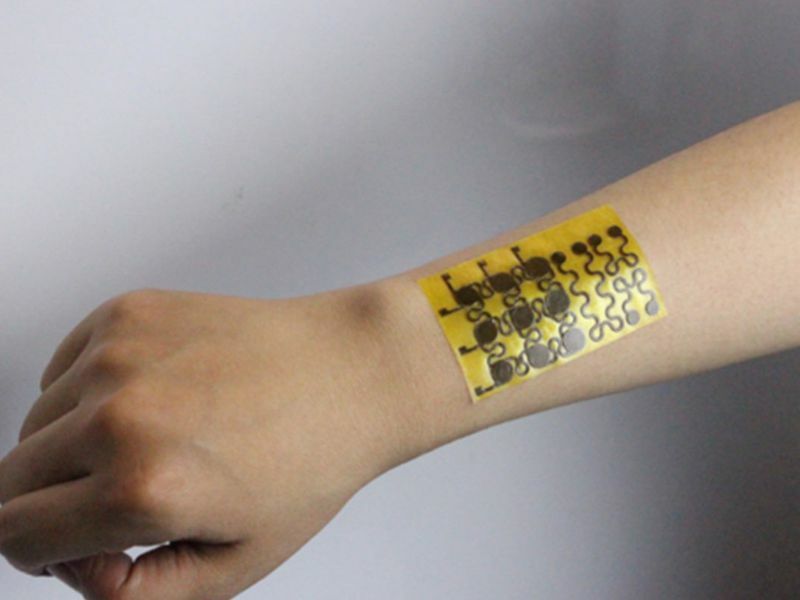 The e-skin has sensors embedded to measure pressure, temperature, humidity and air flow. The tech has several unique properties including a polymer called polyimine. It's also laced with silver nanoparticles to provide strong mechanical strength, chemical stability and electrical connectivity. The e-skin can be easily fitted to curved surfaces like a human arm or hand and even a robot's finger for a sense of touch. According to University of Colorado scientist Jianliang Xiao, what's unique is the chemical bonding of polyimine which allows the e-skin to be self-healing and fully re-cyclable at room temperature. Given the millions of tons of electronic waste being generated globally every year, that makes good economic and environmental sense.